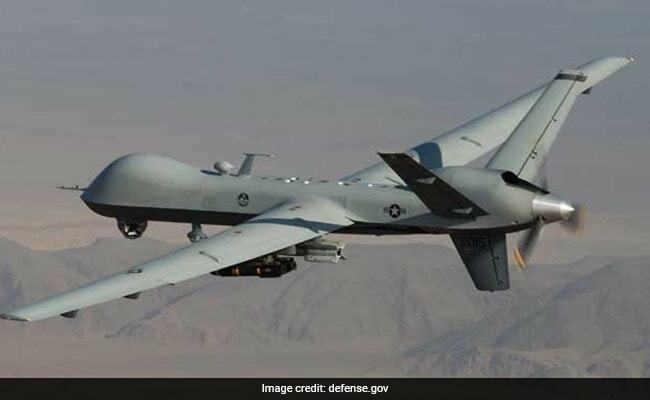 Washington / New Delhi: A $2 billion deal for the US-based General Atomics to supply unarmed drones to India could be notified to the US Congress on Monday ahead of Prime Minister Narendra Modi's six-hour meeting with President Donald Trump in Washington today, and an announcement could be made in the joint statement that will follow. At the series of meetings today, the Indian side is expected to raise its concerns on the proposed overhaul of H-1B visas, used by thousands of Indians to work in the US. Officials also said they expect the Trump administration to take a tougher stance than ever before on Pakistan harbouring terrorist groups. This is PM Modi's first meeting with US President Donald Trump; they have spoken thrice on the phone. Today's meeting is aimed at building a personal rapport and senior government officials said they hope for "chemistry' between the two leaders. PM Modi, on his fifth visit to the US in three years, will be the first world leader to be hosted by President Trump for dinner at the White House. Before delegation level talks, PM Modi and Donald Trump will also have a twenty-minute one-on-one discussion, followed by a short photo-op. Vice President Mike Pence will host PM Modi at a cocktail reception. In a change of plans, the two leaders will address reporters after a joint statement is issued on their meeting and each will take one question selected in advance. India is projecting a "win win partnership". PM Modi wrote in an Op-ed in the Wall Street Journal today, "The logic of our strategic relationship is incontrovertible. It is further underpinned by faith in the strength of our multicultural societies that have defended our values at all costs, including the supreme sacrifices we've made in distant corners of the globe...I expect the next few decades to be an even more remarkable story of ambitious horizons, convergent action and shared growth." Senior US officials have emphasised that their "defense relationship is extremely important for both countries." Apart from the sale of 22 drones, freedom of navigation and overflight in the Indo-Pacific region will be a theme in more defence deals, given joint concern on China's rising influence there, officials said. Regional security is expected to be high on the agenda as Washington considers deploying up to 5,000 extra troops in Afghanistan to help local forces fighting insurgent groups and seeks to encourage what US administration officials described as India's "positive role." Despite the US withdrawing from the Paris Climate accord which aims to protect the environment, Prime Minister Modi said earlier this month that India will go "above and beyond" the Paris Agreement on climate change. The agreement signed by 195 countries in the French capital in 2015 "can protect future generations and give new hope," PM Modi said. Though US' decision to withdraw has drawn criticism from across the world, PM Modi has avoided direct criticism of Donald Trump's move.